Much like other home upgrades and renovation projects, energy efficiency projects are typically financed through a cash investment or a loan. For many homeowners, the best way to finance their energy efficiency upgrades is through an energy efficient mortgage (EEM). With an EEM, you can purchase or refinance a home that is already energy-efficient or you can purchase or refinance a home that will become energy efficient after energy-saving improvements. With an EEM, also referred to as an “energy improvement mortgage” or “green mortgage,” homebuyers and existing homeowners can use their mortgage to finance home energy projects that will reduce their energy costs. If you choose an energy efficient mortgage, you can qualify for a larger loan amount than you otherwise would by factoring in the additional expense of making energy efficient improvements (or buying an energy-efficient home). You can select an energy efficient mortgage when you are buying a home. Homeowners who want to implement energy efficiency measures on their property can also choose to refinance with an EEM. Like a regular mortgage, EEMs are paid through a standard monthly payment to the lender. Because they are part of a home’s mortgage, homeowners with EEMs only make one monthly payment. This is different from unsecured energy efficiency loans, which are separate from a home’s mortgage and requires a separate payment. PACE loans and loans with on-bill financing have payments tied to other bills – your annual property tax bill (for PACE) or your monthly utility bill (for on-bill financing). Unlike other unsecured energy efficiency loans, the lender requires your home as collateral for an energy improvement mortgage. This means that, in the event that you can’t make your monthly payments, the lender has the option of repossessing your home. However, because your home serves as collateral, EEMs have less risk for lenders than other energy efficiency financing options. As a result, your interest rate may be lower with an EEM than with an unsecured energy efficiency loan. As with a standard mortgage, the interest for green mortgages is tax-deductible, which can offer significant savings in the long term when compared to unsecured energy efficiency loans. While energy improvement mortgages offer significant benefits, the application process can be time-consuming. As explained above, approval for an energy improvement mortgage usually requires a home energy audit. Other energy efficiency loans can often be accessed through an energy efficiency professional and are sometimes approved in 24 hours or less. Whether you want to use an EEM for a home you are about to buy or a home you already own, you must be able to provide proof that your planned energy efficiency improvements will be cost-effective. Most lenders use a metric called the home energy rating score (HERS) to evaluate how much you can add onto your mortgage for energy efficiency. Typically, you get your home’s energy rating score through an energy audit by a qualified auditor. The process is simple: an energy auditor will inspect all of the energy systems in the home, such as the insulation levels, heating and cooling systems, and windows. They will then use that information to provide a report with your home’s HERS and an estimate of annual energy use and costs. If the home is in need of upgrades, the report may also make recommendations for particular projects, including estimated costs, savings, and the amount of time it will take for the improvements to save as much as they cost. Your lender will use this information to decide how much additional money you can borrow to implement your energy efficiency projects. Energy improvement mortgages can be used for a variety of projects, such as weatherization, insulation, and even installing a home solar panel system. Each of these offers different costs and savings, so the amount you can borrow through an EEM depends on the upgrades you want. For most homeowners, EEMs is the energy efficiency financing option that will feel the most familiar. Your experience with an EEM will be different from other energy efficiency financing options in a few key ways. Energy efficient mortgages are available through many of the same institutions that offer conventional mortgages. You don’t have to go to a specialized lender to find an energy-efficient mortgage. Many private lenders offer an energy-efficient version of their standard mortgage, and Fannie Mae also has a loan program specifically for home energy improvements. For Fannie Mae loans, homebuyers can increase their debt-to-income ratio by up to two percent, as long as they can demonstrate that the larger mortgage payment is balanced by their monthly utility savings from home energy improvements. If you are purchasing an already energy-efficient home, Fannie Mae allows you to increase your mortgage amount by five percent. In addition to government-insured programs like those backed by Fannie Mae, some private lenders will also offer their own energy-efficient conventional mortgages. 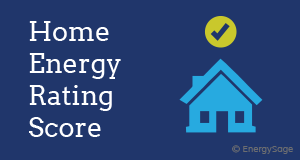 Fannie Mae’s HomeStyle Energy Program offers a mortgage that makes it easier for homeowners to conduct energy upgrades at their home – and it isn’t limited to energy efficiency. A solar panel system is one of the best energy investments that you can undertake for your home, and a HomeStyle Energy mortgage is one of the lowest-cost ways to fund the installation. 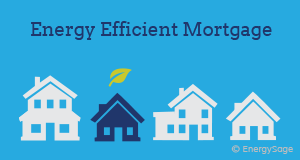 If you are eligible for a mortgage through the Federal Housing Authority (FHA), you can receive additional funds for energy efficiency improvements through their energy efficient mortgage program. With an FHA EEM, the mortgage loan amount can be increased by the cost of effective energy improvements, up to five percent of the value of the property. The VA offers energy efficient mortgages at competitive interest rates to military personnel, reservists, veterans, and their families. Eligible homeowners can finance up to $3,000 in energy efficiency upgrades regardless of their projected savings, and up to $6,000 if the improvements will produce more savings than the cost of the upgrades. In addition to private loans and federal government-sponsored programs, some states offer green mortgage programs of their own. Terms and conditions vary from program to program – contact your state energy office to find out whether a state green mortgage program is available where you live.